With Chef Leon Sampson of George’s of Galilee recently on The Rhode Show’s backyard barbecue, we got the idea to offer their delicious recipe for Gansett Steamed Mussels. Which was one of the several dishes Chef Sampson prepared live on the show. You have to pair this one with a Gansett. And don’t forget about the Backyward BBQ at George’s this Sunday for Father’s Day! 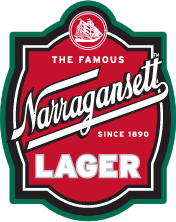 4) Drink the other half of your Gansett! 10) Crack open the other Gansett and enjoy!